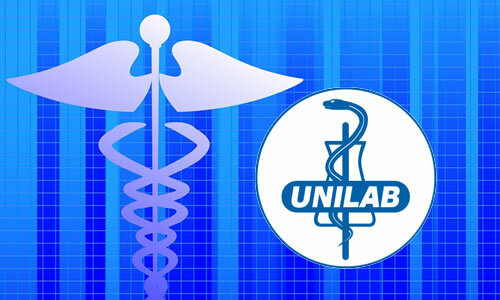 The information below contains the list of all the Unilab products or medicine that you can use or take in case of "oral care". Please refer to the list below for more details. Swish Breath Spray Arctic Chill Spray Swish Breath Spray freshens your breath in just 10 seconds by quickly killing germs and bacteria in the mouth to eliminate bad breath caused by eating, drinking and smoking. It is very convenient to use anytime and anywhere for a quick breath fix. It is absolutely alcohol-free and sugar-free! Swish Breath Spray Peppermint Fresh Spray Swish Breath Spray freshens your breath in just 10 seconds by quickly killing germs and bacteria in the mouth to eliminate bad breath caused by eating, drinking and smoking. It is very convenient to use anytime and anywhere for a quick breath fix. It is absolutely alcohol-free and sugar-free! Swish Mouthwash Arctic Chill Mouthwash Use Swish Expert Care Multi-Benefit mouthwash every day to help: Kill bad breath causing bacteria, Prevent plaque build-up, Maintain healthy gums and prevent gum disease, Fight cavities, Protect tooth enamel, Strengthen teeth. Swish Mouthwash Cinnamon Blast Mouthwash Use Swish Expert Care Multi-Benefit mouthwash every day to help: Kill bad breath causing bacteria, Prevent plaque build-up, Maintain healthy gums and prevent gum disease, Fight cavities, Protect tooth enamel, Strengthen teeth. Swish Mouthwash Honey Lemon Mint Mouthwash Use Swish Expert Care Multi-Benefit mouthwash every day to help: Kill bad breath causing bacteria, Prevent plaque build-up, Maintain healthy gums and prevent gum disease, Fight cavities, Protect tooth enamel, Strengthen teeth. Swish Mouthwash Icy Choco Mint Mouthwash Use Swish Expert Care Multi-Benefit mouthwash every day to help: Kill bad breath causing bacteria, Prevent plaque build-up, Maintain healthy gums and prevent gum disease, Fight cavities, Protect tooth enamel, Strengthen teeth. Swish Mouthwash Mangosteen Mint Mouthwash Use Swish Expert Care Multi-Benefit mouthwash every day to help: Kill bad breath causing bacteria, Prevent plaque build-up, Maintain healthy gums and prevent gum disease, Fight cavities, Protect tooth enamel, Strengthen teeth. Swish Mouthwash Peppermint Fresh Mouthwash Use Swish Expert Care Multi-Benefit mouthwash every day to help: Kill bad breath causing bacteria, Prevent plaque build-up, Maintain healthy gums and prevent gum disease, Fight cavities, Protect tooth enamel, Strengthen teeth.